Manuel Donald “Don” Baldwin left this world on Sunday, March 31, 2019 at Tazewell Community Hospital. He flew into Heaven on the wings of doves and came face to face with his Lord and Savior. He loved his God and wanted nothing more than one day to be in His presence. 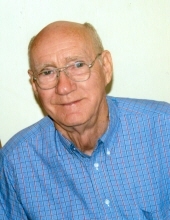 He had a brother, Lindy that passed away in January of 2019 and a daughter Ester in July, 2011. They had returned to pick him up and fly with him on the backs of doves that the Lord had sent to take him to Heaven. I begged so hard for him not to go, but Don said he had to go because God was calling him to come home. So off he went on the wings of doves along with his brother and daughter. He’s resting peacefully now, no pain, no sorrow, ever again. When he left, he took my love and my tears. Even tho God says there will be no tears in Heaven, I surely cannot believe it. I love you, Don, go with peace and know I will be along soon. He was a US Army Veteran. Don taught Sunday School at Heritage Hall Nursing Home for over 10 years. He was of the Pentecostal Holiness faith. He was owner and operator of Rainbow Upholstery for many years. He was preceded in death by his parents, Jonas and Laura Cordle Baldwin; ex-wife, Charlotte Whitt Baldwin; one daughter, Esther Baldwin; three brothers, Elbert Baldwin, Charles (Lindy) Baldwin, and Lee Baldwin; one sister, Betty Miller. Don is survived by his wife, Patsy Smith Baldwin; three sons, Terry Baldwin and wife Mona of Richlands, VA, David Baldwin and wife Dinah of North Augusta, SC, and Parker Baldwin of the home; four daughters, Belinda Knoepfle of Aiken, SC, Martha White and husband Quay of Jewell Ridge, VA, Mary Baldwin of Augusta, GA, Stella Stacy and husband Tommy of Augusta, GA; one loving brother, Andrew Baldwin and wife Nancy of Ashville, NC; three step-sons, Joey Hass and companion Amber of Tazewell, VA, Scott Hass and wife Trish of North Tazewell, VA, and Timothy Hass and wife Kristina of Tip Top, VA; best friend, Freddie Hass; ten grandchildren, Christina Noel, Jerome Baldwin, Justin White, Brent Baldwin, Jessica Thompson, Ashley Noel, Derek Baldwin, Adrean Attaway, Lauren Stacy, and Connor Stacy; six step-grandchildren, Tyler Hass, Alic Hass, Keerstin Hass, Josey Lynne Sims, Hannah Hass, and Tristan Hass; nine great-grandchildren; two step great-grandchildren. The family will receive friends from 6 – 9 p.m. Thursday, April 4, 2019 at Singleton Funeral Service in Cedar Bluff, VA.
Funeral Services will be conducted at 1 p.m. Friday, April 5 at the Singleton Funeral Service Chapel with Pastor Troy Bartley officiating. Burial will follow in Greenhills Memory Gardens at Claypool Hill, VA. Sons and grandsons will serve as pallbearers. Military Graveside Rites will be conducted by Casey-Short VFW Post 9640. The family of Manuel Donald “Don” Baldwin is in the care of Singleton Funeral Service in Cedar Bluff, VA.
To send flowers or a remembrance gift to the family of Don Baldwin, please visit our Tribute Store. "Email Address" would like to share the life celebration of Don Baldwin. Click on the "link" to go to share a favorite memory or leave a condolence message for the family.